*	Monogastric milk like mother’s milk. 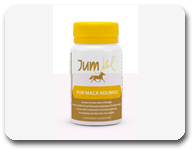 *	It is an essential nutritional supplement for fighting stress and fatigue. *	It provides an energy support and is particularly recommended for weakened individuals. *	It helps to make up for current energy weakness which today affects numerous people: the young, women, seniors, convalescents. *	It is an energy stimulant strongly recommended for top athletes. *	Since time immemorial, it has been recognized as being very beneficial for the digestive and intestinal tract. 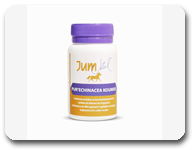 It contributes to regulating the intestinal flora and microflora and thus provides a sense of general wellbeing and a better quality of life. *	It goes along with all the detoxification processes. 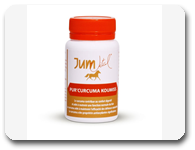 *	The Jum’Vital treatment guarantees physical and intellectual comfort throughout the year. 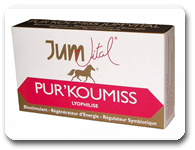 *	The “Total Jum’Vital Concept”: taking Jum’Vital to revitalize the intestinal microflora and reduce the free radicals, in order to preserve and nourish the skin (anti-wrinkle effect), and, at the same time, using it externally by applying the Jum’Vital line of care to preserve the elasticity and softness of the skin and accelerate cellular renewal. 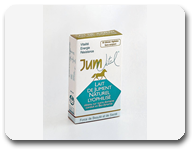 Since its creation in 1990 at the Estate of LA VOIE LACTÉE, 1st “LACTARIUM” of NATURAL MARE’S MILK located on the borders of Alsace and Moselle, in the AREA of BITCHE (Bitcherland) where nature is king, active and generous, JUM’VITAL has implemented a quality follow-up which serves as reference, while take into account the biological realities and the principle of precaution. •	A special environment: NATURAL REGIONAL PARK OF VOSGES DU NORD declared a World Biosphere Reserve by UNESCO – Very active sub-soil of brown ferruginous sandstone. 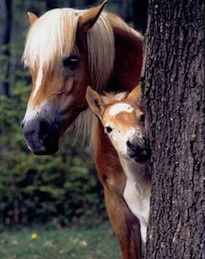 •	A respected farm of 150 selected horses of the HAFLINGER breed. The brood mares never work, none are sacrificed. Estate has led to a bio-dynamic agriculture. •	Suitable care and control of the milk from the time it is collected to packaging. 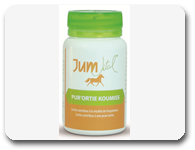 These measures alone prove to be indispensable to be able to proclaim JUM’VITAL Quality and to offer an authentic, natural and unique mare’s milk. It is this quality which ensures the synergy of the essential ingredients of JUM’VITAL and which preserves the natural entity guaranteeing its activity.